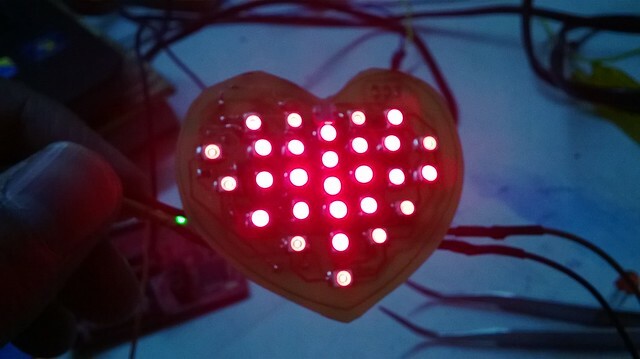 Blinking LEDs,Blinking Hearts, Enamouring Sight for any Nerd and a nice idea for getting people interested in the hobby of electronics. 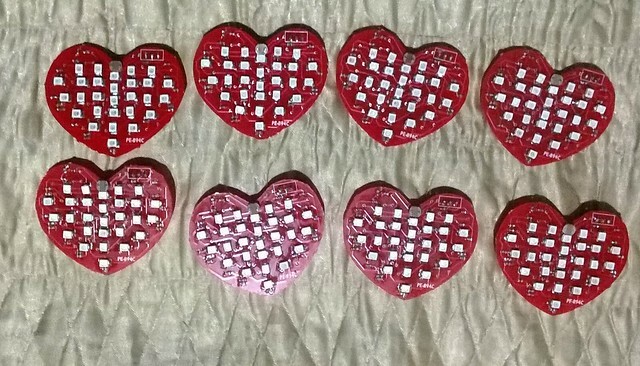 This is what we had in mind when we did this Wearable LED heart project to showcase at MakerFest 2014. This would be our team’s signature. 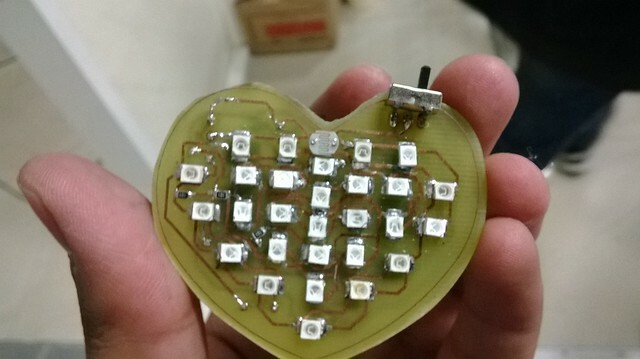 Basically, we have a small PCB milled in the shape of a heart and studded with LEDs that react to the ambient light and change their beating rate and whenever someone comes too close(basically a hand in most cases :P), the LEDs change the pattern to what Prof.Gadre calls the Happy Mode ! 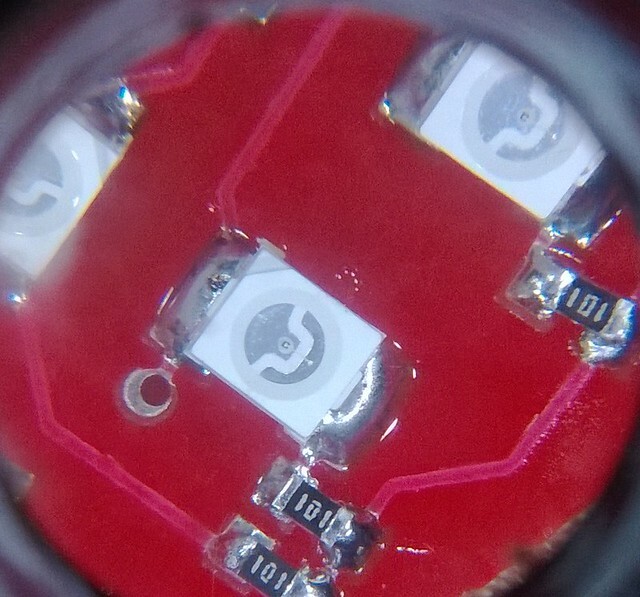 It takes two snapshots of the LDR reading before and after the LED blinks, i.e. the ON state and OFF state and based on the delta the algorithm decides the lighting conditions and varies the beat rate. Once the Delta exceeds a point, it switches to happy mode ! 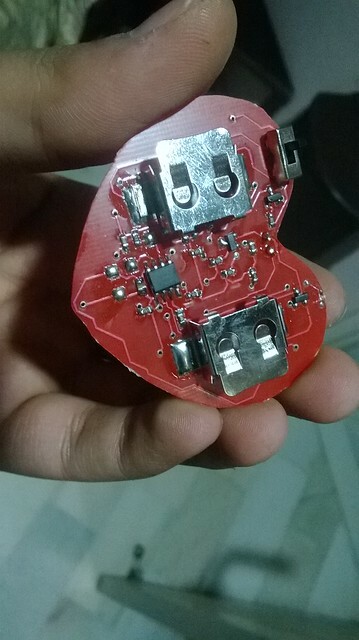 The PCB is a double sided one ; made after i made Open Badge . So, most pitfalls were over. 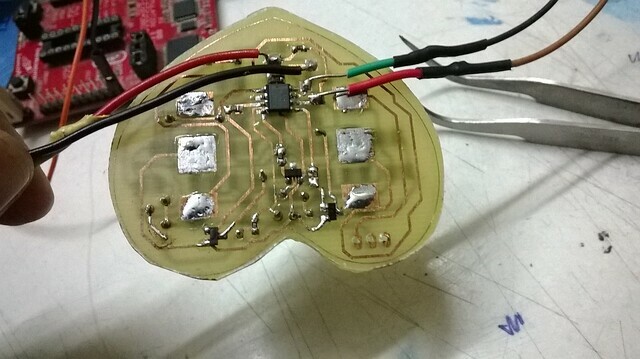 Without the temperature controlled soldering iron and LEDs mounted very close-by it was a pain to solder them. They would heat and sometimes blow away due to excess heat. 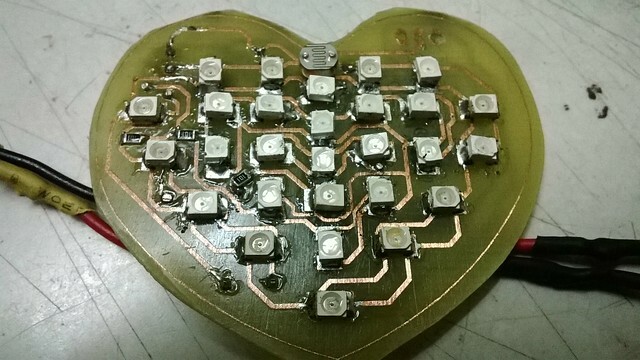 Probably the best way was to reflow ? Check out the pictures of the build in action ! 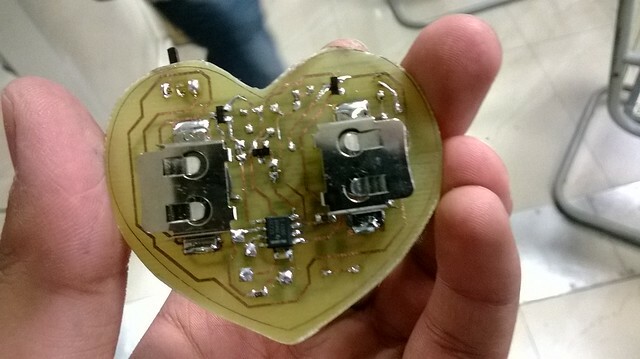 The mass manufactured version of the same was also presented to the participants of Texas Instruments Analog Design Contest 2014 !